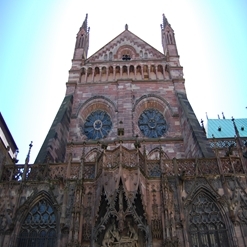 City of Strasbourg is the official seat of European Parliament. European Parliament building was completed in 1999 by Architecture Studio. The architecture European Parliament is magnificent, sophisticated and contemporary. They allowed visitors in its premises in Strasbourg both throughout and outside plenary weeks.